OPEN HOUSE SUNDAY, APR 28, 1-2:30 pm. This brand new luxury house by Vaastu Homes has it all, situated in a prime location near the exclusive green space of Pattersonâ€™s protected environmental oasis and incredible ravine trails. The modern floor plan welcomes you with 9â€™ ceilings, stunning white oak hardwood staircase with thick glass railings, high-end designer light fixtures, and an open concept with an abundance of sunlight streaming through. The great room is open to above with 2 story windows and exotic stone double-sided gas fireplace with exclusive woodwork. Youâ€™ll love the gourmet kitchen with its gold fixtures, thick Calcutta marble island, sleek cabinetry, Jen-air SS appliances, butler pantry, herringbone backsplash and floating shelves with pot lights. The adjacent dining area has gorgeous sliding doors that open to the large deck. On the upper level discover a dreamy master suite with luxury ensuite There are 2 additional bedrooms with private ensuites and walk-ins, flex room and laundry. Home for sale at 585 Patterson Grove Sw Calgary, AB T3H 0V6. Description: The home at 585 Patterson Grove Sw Calgary, AB T3H 0V6 with the MLS Number C4238890 is currently listed at $1,385,000 and has been on the Calgary market for 9 days. 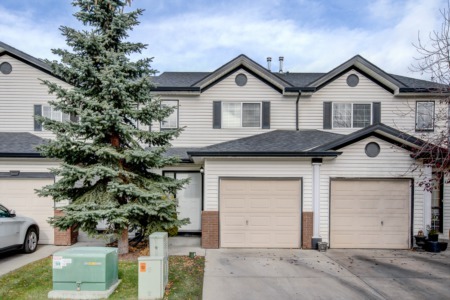 You are viewing the MLS property details of the home for sale at 585 Patterson Grove Sw Calgary, AB T3H 0V6, which includes 3 bedrooms, 4 bathrooms and has approximately 3218 sq.ft. of living area.